Venus is an unincorporated community in San Bernardino County, California, United States. 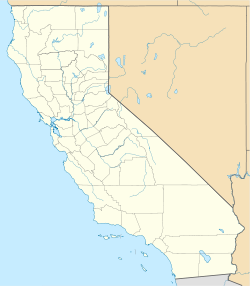 It is located approximately 31 miles (50 km) northeast of Barstow, California. The Venus Deep Space Station, part of the Goldstone Deep Space Communications Complex, is located there. ^ a b "Venus". Geographic Names Information System. United States Geological Survey. ^ Hayes, N.V. (September 1983). "Energy Consumption Analysis of the Venus Deep Space Station (DSS-13)" (PDF). NASA.